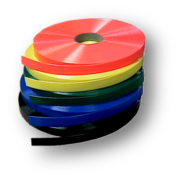 PathoShield® coated webbing is an ultra-thin and flexible urethane coated webbing. Our proprietary welding process yields a strong, watertight webbing that can easily adjust through most standard hardware. PathoShield’s liquid resistance will save you time and money! 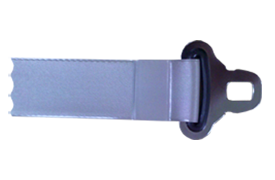 While uncoated webbing can take at least thirty minutes to decontaminate and dry, PathoShield can be cleaned and ready for use in a fraction of the time. 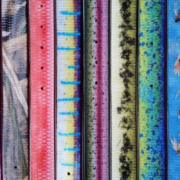 Due to its strength and flexibility, you can depend on coated webbing to last longer. Consider PathoShield for your medical and military needs. Grease, food, bodily fluids, and dirt wash right off of PathoShield, making it easily cleanable and more sanitary than uncoated webbing. Additionally, the urethane coating prevents unpleasant odors from penetrating the webbing. Make your PathoShield product stand out with glow-in-the-dark and reflective additives. Glow-in-the-dark urethane coated webbing can create visibility in minimally lit areas. 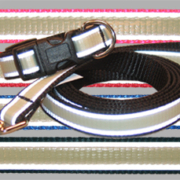 A 3M reflective stripe can be added to TPU coated webbing to safely be seen even in dim lighting. For customers interested in customization, we can apply the urethane coating to sublimation transfer printed webbing. Without sacrificing the design, your product can still be abrasion and liquid resistant. We can also place a logo, slogan, or phone number in the weld area to help identify your custom assembly.